Today I am meeting with Felix Negrete with Belgard Hardscapes. 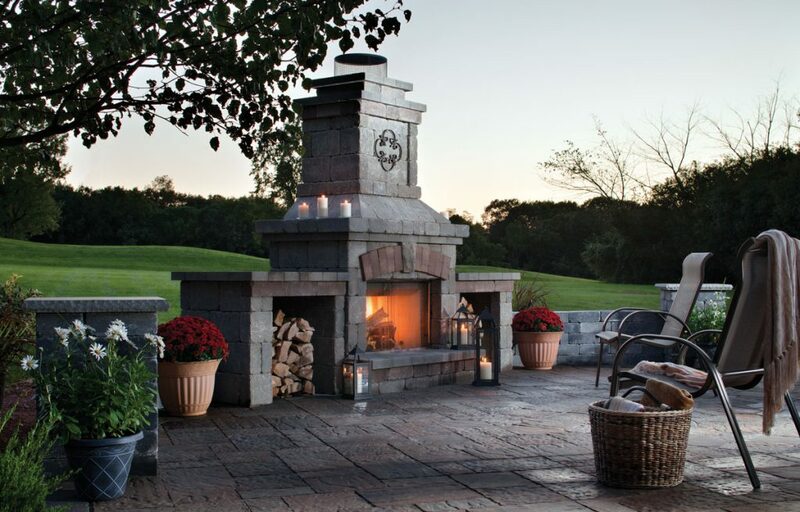 What sets Belgard apart from the rest, and why would a homeowner choose Belgard? Felix: We exist for one purpose: to make your outdoor living space beautiful. This goes beyond turning creativity and craftsmanship into lasting outdoor spaces. It means bringing your custom hardscape designs to life, together. Because with Belgard, you get more than just beautiful customized paver products, you get a partner to help you every step of the way – from inspiration to design to installation to living in your outdoor space. Felix: Today’s top trending pavers include the crisp modular lines of Catalina™, the rugged texture of Catalina Slate™, and classic tailored look of Cambridge Cobble®. What are the most popular paver colors of 2015? Felix: Color choices often depend upon the style of home, the personality of the homeowner, and the overall design scheme. Homeowners looking for an elegant look often choose the warm earth tones of Toscana. Those looking for a more vibrant color palette often choose the eclectic cool tones of Bella. What are the most popular paver patterns and designs for 2015? Felix: Although some homeowners prefer to take the classic approach or a running bond or herringbone pattern, the modern homeowner typically chooses a multi-piece random pattern, which creates more visual interest. What is the most popular retaining and freestanding wall product this year? Felix: Whether building a freestanding or retaining wall, the most popular look is the rugged cut stone look of Anchor Highland Stone®.The old world charm of Highland complements a variety of architectural styles and can be used to create garden walls, seat walls, fireplaces, fire pits, outdoor kitchens, and more. What are currently the most popular wall colors? Felix:The three trending colors in walls are Toscana, Bella, and Victorian. Toscana incorporates and blend of warm earth tones, with mottled browns and hints of red. Bella offers cooler tones of grays and terra cotta. Victorian bridges the gap between the two color families by mixing warmer gray tones with hints of brown and terra cotta. What are the most popular wall caps for 2015? Felix:Anchor Highland Stone® wall cap complements the Highland wall and offers a cut stone appearance along the edge and a smooth surface on the top. Another popular wall cap option is Belair Wall®, which has a chiseled edge and smooth surface on top. Both are often used to trim steps, as well as walls. Why are tumbled pavers, slate top or stone-textured pavers more expensive than the rest of your paver line? Felix: Due to the intricacies of the paver details and the design and manufacturing processes required to ensure each paver’s replication of a nature stone or slate finish, these pavers tend to have a higher cost per square foot. It’s our attention to detail that produces a more authentic replica of a natural stone finish. What is the difference between a tumbled and a distressed paver? Tumbled Pavers require an additional process in manufacturing. These pavers are literally tumbled in a huge drum, once they have cured for a minimum of two to three weeks. The pavers are slowly turned over a period of time, sorted through, and restacked to be ready for delivery. This process is time consuming, labor intensive, and results in some breakage, which can add from .65 cents to a $1.50 per square foot to the material costs once breakage and labor are factored in. Distressed Pavers also require an additional process in manufacturing. Prior to being palletized, pavers travel through a large machine that has a lot of little hammers that beat and scratch the pavers as they pass. Distressed pavers are not as rustic looking as tumbled pavers and are usually more uniformed. The distressing process does not cause as near the breakage quantity as the tumbling process, but additional time does raise the cost, although slightly less then tumbling. Why is there is an up-charge for the Montecito color and non-stocked colors? Felix: Light colors like Montecito require the use of white cement, which is a premium grade of cement that adds to the manufacturing cost. Non-stocked and custom colors require an up-charge due to the increased labor costs required to produce them. Explain the process involved for non-stocked paver production, resulting in additional costs. Felix: Our machines typically run at full capacity. If a special order comes in that requires us to make a smaller quantity, it significantly slows down the process. For a simplified example, if a cement mixer can hold enough to make 30 pallets at a time, and an order is placed for only 10 pallets in a color that is not stocked, it requires the mixer to run at a smaller capacity, which reduces efficiencies. In addition, extra down time is required to clean out the mixer and molds to return to producing a standard color. Felix:ICPI recommends the herringbone pattern as the ideal driveway pattern because it provides the best interlock. However, for light residential driveways, almost every pattern is suitable, provided you have the proper base and edge restraint. Felix: 80mm pavers are recommended for heavy traffic and are required if zoned for a firetruck. Why is the Belgard product warranty different from the rest? Felix:Once installed by an Authorized Belgard contractor, the Belgard national product warranty is transferrable for the life of the home. If a Belgard product is defective, it will be replaced free of charge. However, replacement labor is not covered, so it is recommended to use an authorized installer who guarantees workmanship for a minimum of two years. What is the process for registering pavers for the warranty, and why this is important? Felix:The process for registering Belgard products is a simple online registration. Once registered, you have the option to receive regular information for the proper care of your products to ensure their beauty for years to come. In addition, providing the specific address of the installation is what allows the warranty to be transferrable, should you sell your home. What are the pros and cons of pavers as compared to other pavement options? Felix: I have created a list of pros and cons for you. Pavers are three times stronger than concrete – pavers are 8000 psi, concrete is 2500. Pavers are available in different sizes, shapes, textures and colors, giving you endless design options. 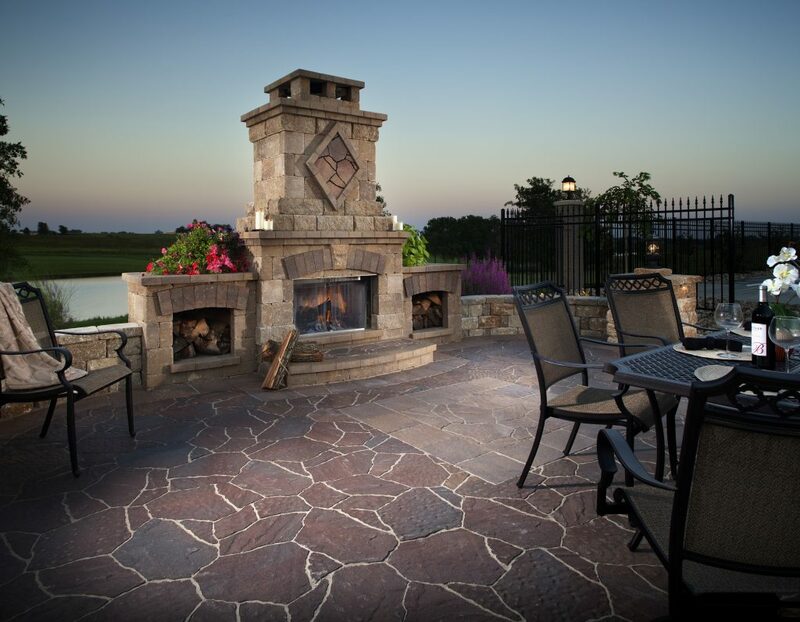 The resulting pavement is extremely flexible, and Belgard offers a lifetime warranty against cracking. With concrete or asphalt, it’s not a matter of if it will crack, but when. Pavers require little to no maintenance. Should a crack occur, repairs can be made seamlessly by simply popping out and replacing the cracked paver unit. Repairing cracked concrete or asphalt requires unsightly patches and results in noticeable differences in the pavement surface. Pavers require a higher upfront cost. However, the lifecycle cost is much lower than other pavements because of the durability and lifetime warranty. Poor installation can result in numerous headaches. That is why Belgard recommends only using Belgard Authorized Contractors. If a contractor is “authorized”, you can be assured that the contractor has been properly screened and trained. When is it recommended to use polymeric sand in the paver joints? Felix:Polymeric sand can be used with all pavers and is highly recommended on tumbled, large jointed pavers, false joints, around steep slopes, and pools. What are the pros and cons of polymeric sand as compared to regular joint sand? What is new for pavers and hardscapes in 2016? Felix: Each year we are constantly researching and developing new products. We also analyze and determine what items will remain stock items or special order. We will roll out more information closer to the New Year but for a glimpse we are really excited about Mirage Porcelain Pavers and Tandem Walls. How can a homeowner take advantage of the Belgard Design Studio? Felix: The Belgard Design Studio offers a library of photorealistic outdoor living designs, many of which also include 3-D flythrough animation, allowing you to virtually walk through the space. When working with a Belgard Authorized Contractor, the Design Studio can create custom designs based on your individual needs and desires using images of your own home, which not only helps you truly visualize your future outdoor living space and how you will live in it, but also helps you to avoid making design choices that you will later regret. What are the costs associated with the Design Studio? Felix: Our library of existing designs are free of charge. Custom designs may come with a small fee, depending on your individual situation. I have seen some of the great tools that Belgard offers and it is really a great service. Thank you again Felix for taking the time to meet with me and for all of the information you shared.